My love of fibre and colour developed from an early age when I learnt how to knit. Always striving for a more exciting fibre, I started spinning and when I couldn’t get quite the right effect with knitting, I learnt to weave. 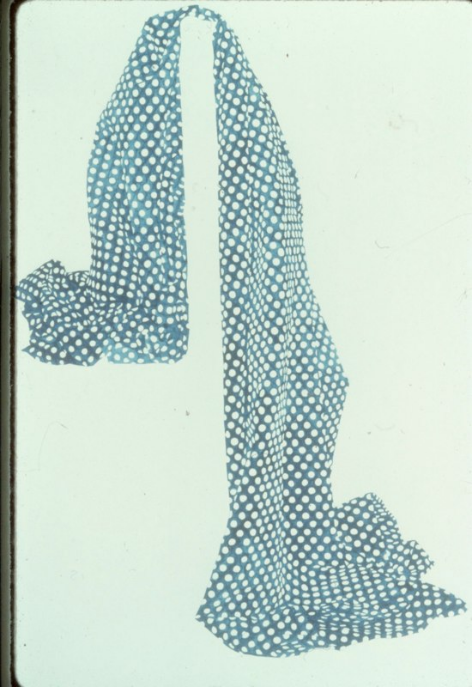 My inspiration came from a very soft, pink and blue woven scarf which belonged to my mother. Tapestry weaving was discovered by accident. It seemed like a natural progression and an interesting way to create a picture on a simple frame. This was in the 1980s when fibre craft/art was quite popular – although even then I recall being the youngest in the spinning group. My artistic practice centres on tapestry, although I also have a love of photography. I create designs mostly by painting, however, I am conscious of finding ways to speed up this initial design process, and plan on investigating more experimental approaches. My work responds to environmental and sustainability issues, personal and cultural issues, and patterns and colours in the environment. I am also influenced by current art theory. My imagery is often based on photos taken during my travels and I am always fascinated to find changes in the environment when I revisit a special place. For me, making objects is a lifestyle choice. I am an emerging artist and craftsperson and I will continue to develop my own language and strive for excellence. Fibre is both tactile and sensuous and I enjoy exploring the subtle nuances that can be achieved with colour and texture, and the way different fibres absorb or reflect light. Primarily, I weave with wool, however, I love the lustre and tensile strength of silk and often incorporate it into small areas of my tapestries to enhance a focal point. I find the process rhythmic and contemplative and, as I work on one tapestry, ideas begin to develop for the next. Wherever possible I endeavour to use environmentally friendly, sustainable or repurposed materials. 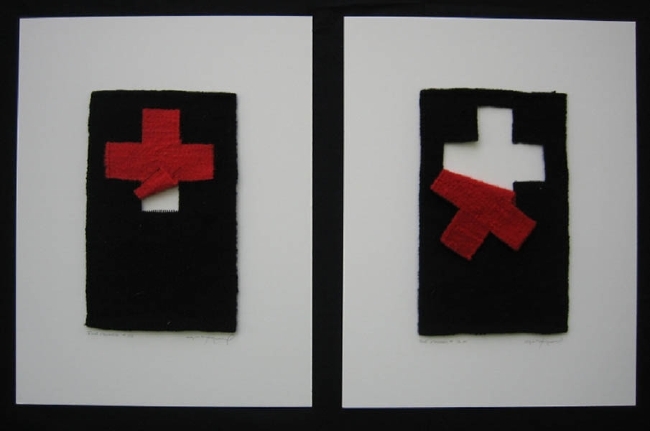 The use of fibre goes hand in hand with material specific concepts such as protection, providing a metaphor for the body or providing a link to the past. People are drawn to the material qualities of textiles because their tactility evokes the senses and invites touch. Tapestry is a soft pliable textile with a rich tactile surface that provides unique warmth, richness of colour, texture and visual detail. As an artistic medium, tapestry can be narrative, symbolic, observational, decorative, sculptural or conceptual. It can focus on the materials, or employ a more painterly or even photographic approach. Materials can become secondary to meaning and association when the work is intended to confront social and cultural issues such as gender and the environment. However, tapestry can also fall into the category of ‘kitsch’ if it is aesthetically deficient, or reproductive. It is important that a tapestry weaver create work with strong visual impact that is enhanced by the medium. I have accepted the slowness of tapestry to be part of the process. Using skills that are acquired over time and are specific to the process and materials appeals to me. Medium specific techniques can enhance the visual image, for example stepped lines, slits, hatching or half pass, soumak and eccentric weaving, showcasing the process and the inherent properties of fibre. 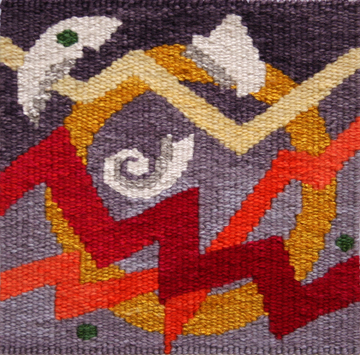 Hidden layers of meaning and practices lie within a tapestry and the slow nature of weaving. For many the process is a basic artisanal urge and intrinsically motivated. I believe that handmade is an important component in fibre work and that different types of making enable us to imagine objects and environments beyond the norm. Tapestry’s slowness can also be seen as cost prohibitive in a digital age, as weavers struggle to make a living. Perhaps one of the biggest issues facing tapestry today is that, even though there has been a revival of the hand made, for the younger generation a slow art form is not so appealing. Tapestry’s traditional techniques and materials can be viewed as lacking innovation. But investigation of alternative materials or a more experimental approach can be undertaken. It is important to remain open to possibilities, especially when many contemporary fibre artists are moving away from the handmade object towards practices such as digital technology, installation and hybrid approaches to material process. Exploration and cross mingling of traditional and non-traditional materials (such as wire, paper, LED lights, recycled materials, plastic bags etc), as well as the exploration of form, allows for new discoveries and can be used as a means to: challenge and improve visual impact; produce more concept-based artwork; and, create aesthetically pleasing work. Achieving critical acclaim and acceptance into exhibitions requires meeting the standards of curators and jurors, aesthetic and critical standards that are informed by a knowledge of current trends in art. Weavers with professional aspirations must cross the ‘boundary’ that exists between craft and fine art. Art requires intellectual concepts, imagination and thought. The heart is as essential as the hands. Tapestry can be a powerful tool to express ideas; it has great potential for concept-based imagery. Tapestry could also be promoted as a slow art form that is environmentally friendly and relatively sustainable with little impact on the environment. 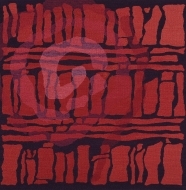 Tapestry can be used with other media or to create sculpture and installations. 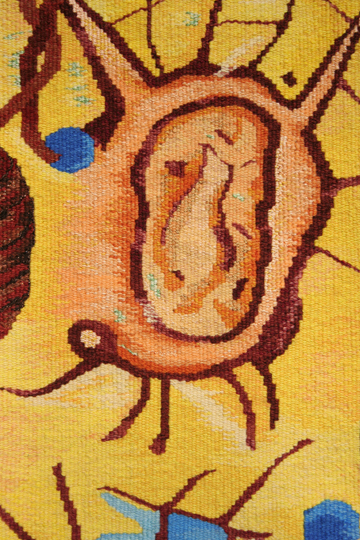 The medium of tapestry can contribute to the visual message of the artist and can make an impact in today’s art world. It is important to increase tapestry’s visible presence in order to gain interest from a younger generation. There is little opportunity to study tapestry weaving at educational institutions. 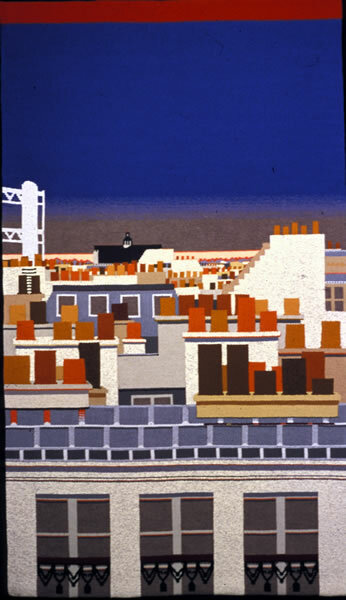 Organisations such as American Tapestry Alliance, British Tapestry Group, and European Tapestry Forum promote tapestry as an independent art form. Workshops such as the Australian Tapestry Workshop and the West College of Dean raise the profile of tapestry. Juried or non-juried tapestry and specialist fibre exhibitions provide venues for a wide range of participants who might not receive exposure elsewhere, and encourage excellence in order to promote fibre as an art form. It is important to also increase tapestry’s presence in public and commercial galleries and in mixed media exhibitions. 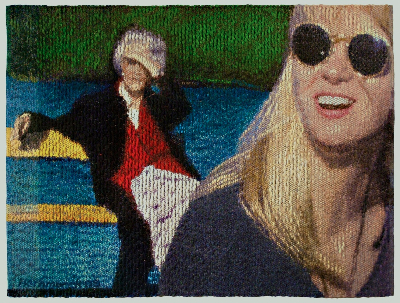 The services and programs that I feel would be most useful to me as a tapestry artist would be: distance learning and mentoring (especially important for those new to tapestry so their skills and ideas base expands); an online critique group that could provide feedback with design work; and study groups where a wide range of topics could be investigated. This sort of education would be likely to come down to organisations such as the American Tapestry Alliance given that learning opportunities in the field of tapestry are becoming more limited. Sue Weir is originally from Dunedin (NZ). She has lived in both Australia and England and now resides in Wellington (NZ). Sue is a member of the Australian and New Zealand Tapestry Network, American Tapestry Alliance, Artists Alliance and Creative Fibre. Sue learned to knit at an early age and, always striving for a more exciting fibre or colour, she discovered spinning and weaving. 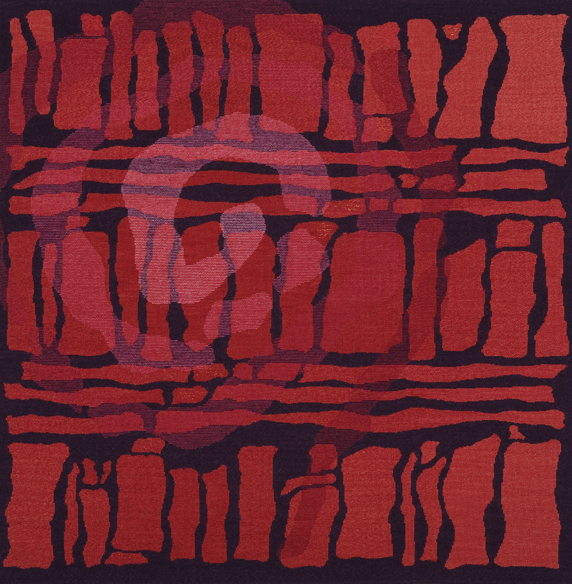 For her, tapestry weaving became a natural progression and in 1989 she enrolled in what was then the Certificate of Applied Art (Tapestry) at the South West Institute of TAFE, Warrnambool, Australia. 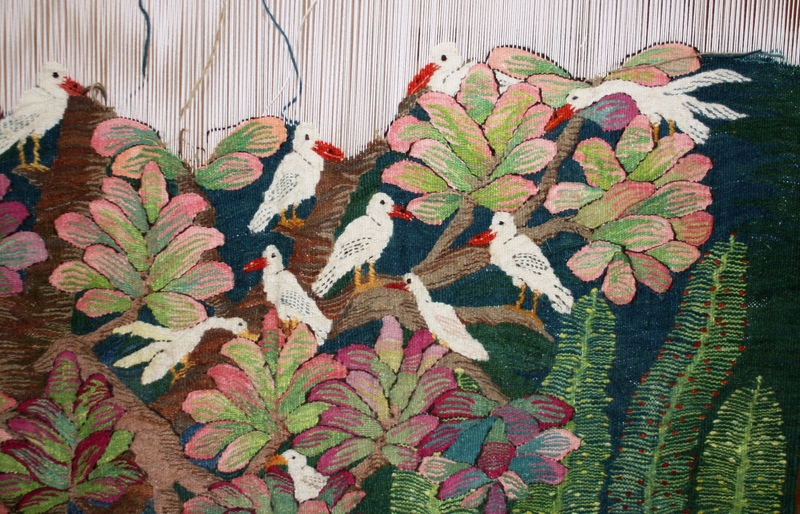 At that time Sue was unable to complete the Certificate but in 2007 she returned to tapestry and is now in her final year of the Diploma of Tapestry (South West Institute of TAFE). Sue is currently working on a series of tapestries that explore Hampden beach and its ever-changing scenes for her graduate exhibition. 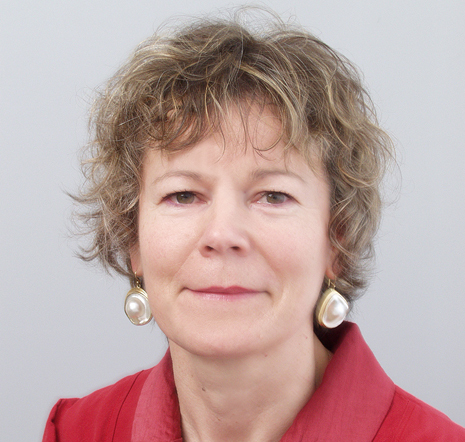 In the last few years Sue has exhibited work in three tapestry network group exhibitions and attended several arts-related workshops.